Mr. KK here again. The last post concluded our series in Cover Art Development for the SHADES OF THE PAST cover. In this post we’ll discuss our latest project – the cover for A SLIP IN TIME and some of the challenges we encountered developing it. For all of you who have been waiting for the newly revised edition of A SLIP IN TIME, it will be released this week in e-book formats and next week in print format. First, Anita and I would both like to thank all of you who gave us your inputs on the selection of the three candidate front cover designs and then the castle selection on the “blue” cover design. Here is the final cover flat for A SLIP IN TIME. 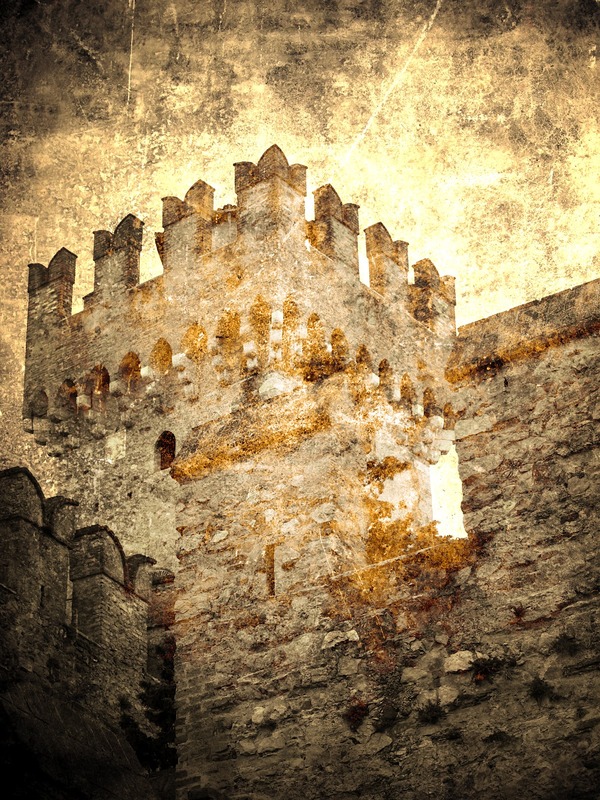 There were several challenges associated with the development of the cover designs – the backgrounds, the couple and the castle. First, let’s discuss the backgrounds. Here are the original castle photos that we adjusted to become the backgrounds for each of the candidate designs. Each castle photo required editing to size it for the covers. The book size Anita chose was 5.25” x 8.0”. When you add the 1/8” bleed all around, the submission size for the front cover is 5.5” x 8.25”. At 300 dots per inch, this means that the backgrounds must be 1650x2475 pixels. 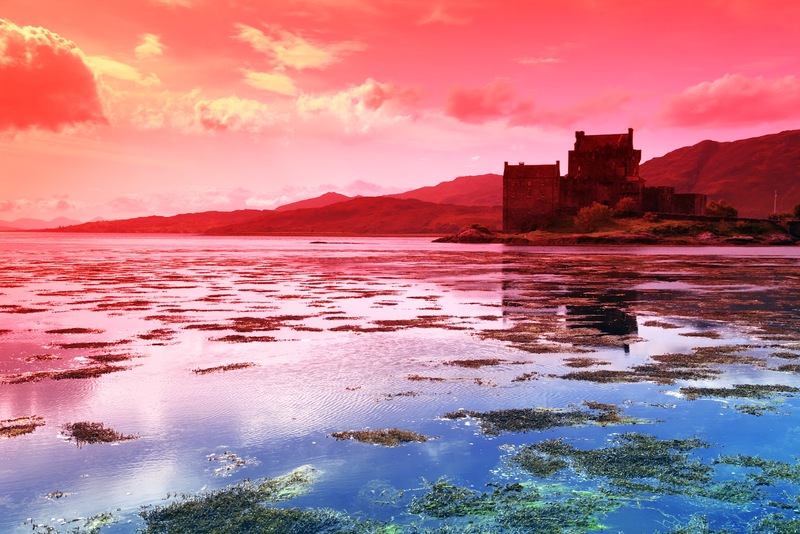 The “red” castle (Eilean Donan Castle) was cropped and placed within the cover frame to give it the look Anita wanted. The “gold” castle (Scaligers Castle) was not large enough to fill the cover frame, so I had to actually use the bottom part of the image three times over (in layers) to get the height we needed to fill the frame. 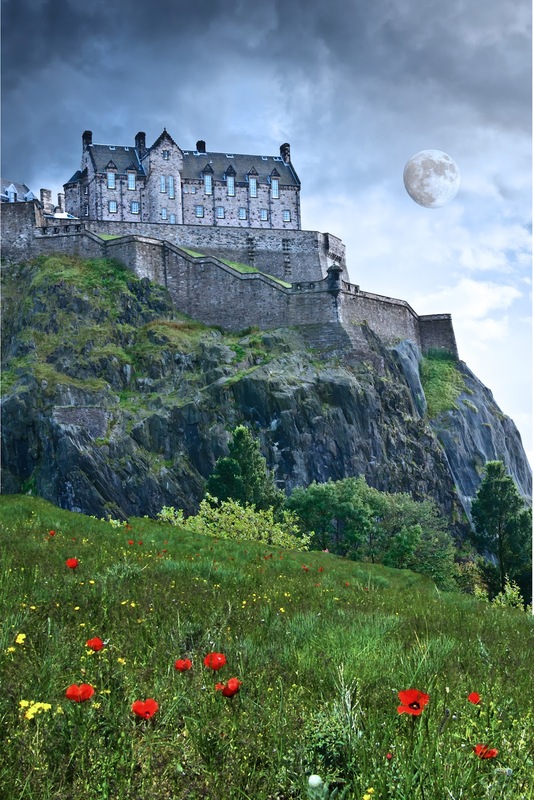 The “blue” castle (Edinburgh Castle) was used at full size and we added a blue filter to it to get a darker, more foreboding “night” look for it. We also added a hillside from another photo in the foreground to give the image some color (green grass with red and yellow flowers. A moon was added to all of the backgrounds because it’s a key element in the “time slips.” Here are the “adjusted” background images for each design. The couple proved to be somewhat of a challenge also. Anita selected a Jimmy Thomas photo to represent her hero and heroine. I removed the background, using Photoshop’s Quick Selection tool. 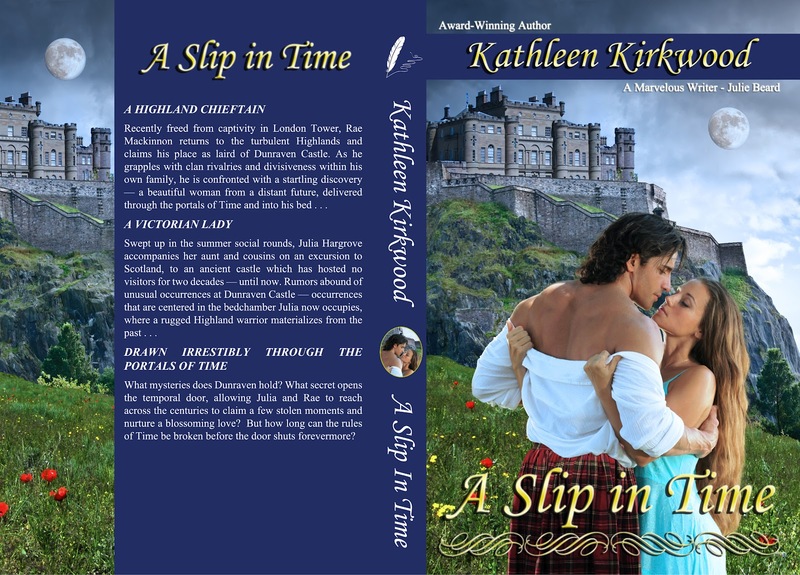 Being that her hero is a 15th century Scotsman, he needed to be wearing a kilt. Anita found a second Jimmy Thomas photo of him in a kilt. 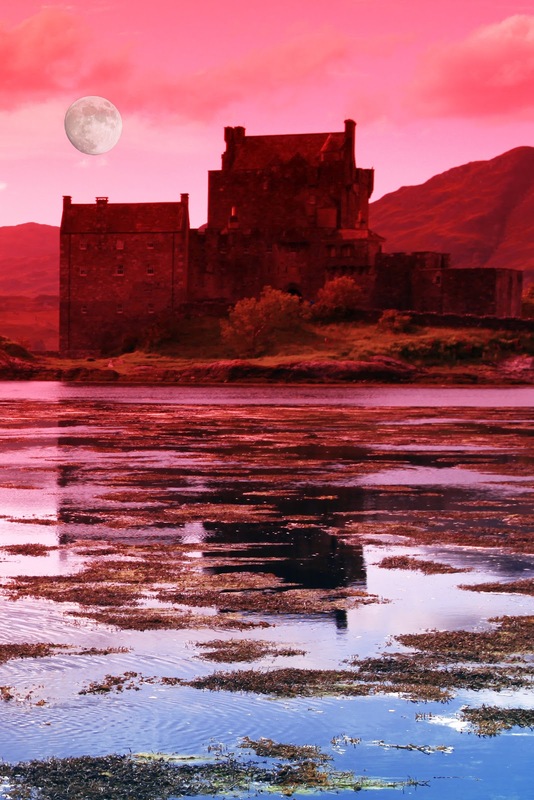 She was particularly pleased that it was a red kilt, which is correct for the hero’s clan affiliation. I edited out the kilt, slimmed it down a little and placed it over the hero’s black pants. The bottom part of his shirt also had to be cut out and placed over the top of the kilt to make it look like the shirt was not tucked in. 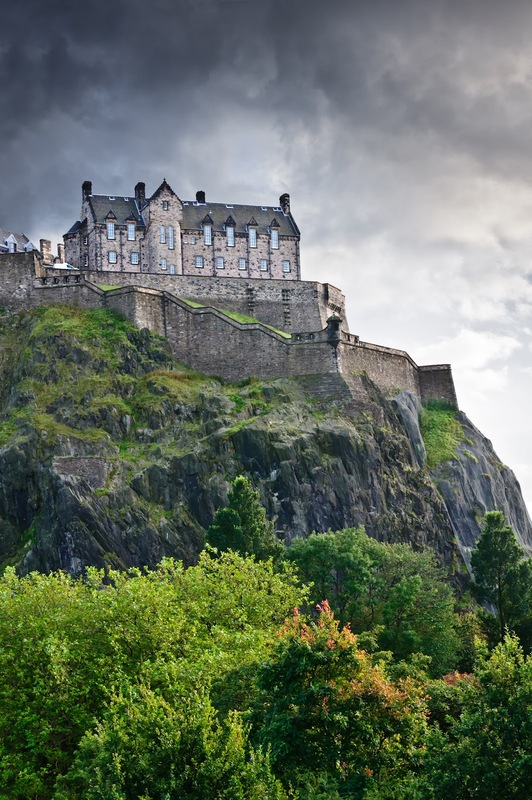 As she mentioned in an earlier post, Anita was bothered by the plain facade of Edinburgh castle, which didn’t fit the story’s description of Dunraven Castle. So, we went on a search for replacement castles. 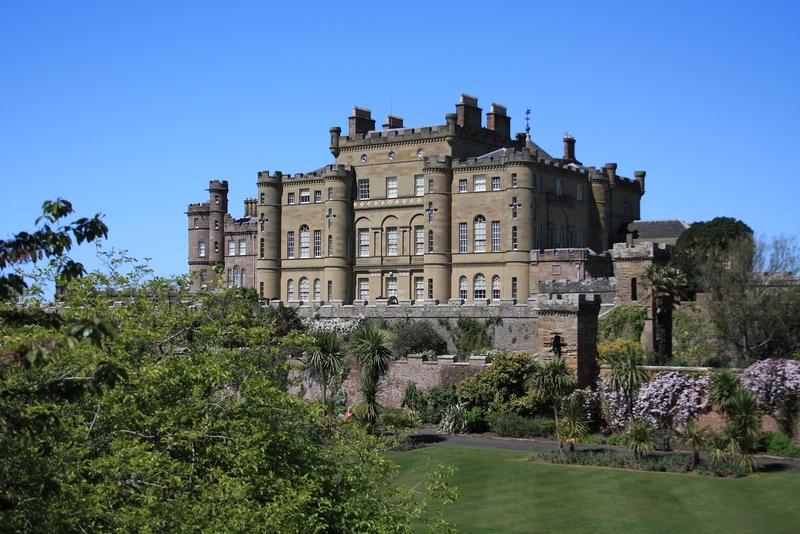 After MANY trials, we chose Culzean Castle. Here are the original image of the castle and the “adjusted” image, after we deleted the sky and most of the foliage, and reversed the image. We also enlarged the end tower and blackened the windows, which in medieval times would have been “unglazed” (without glass) and shuttered on the inside. As always, if you have any cover art questions, feel free to contact us at Anita’s e-mail address: kathleenkirkwood@aol.com. Next week’s cover art post will be on the use of the Amazon and Barnes and Noble proofing tools to make sure the cover and interior uploaded, converted and formatted properly. Thanks for the post, as I am one who loves what is inside the covers, the step by step and detailed outline of the art in creating, editing the cover is amazing.. but the saying still holds true, "judging a book by its cover", if it doesn't grab my interest, peak my curiosity I may overlook a great piece of work. Bravo. Thanks for the comments BT & Kat. Mr. KK and I really went round and round on this cover but are thrilled with the final outcome. Thought hubby was going to have a conniption when I said I wanted to change the castle. LOL. It took several days before he gave in. In the end, it all worked out, marriage is in tact. I think he's sighing relief that it's done. Now,I need to get this & read this one. Love my highlanders so this will be one that I look forward to reading. I've just finished my review and I'll begin, at last, to read it tonight .... Yer !!!! Biting nails, looking for chocolate .... Hope you enjoy your trip to the Highlands.